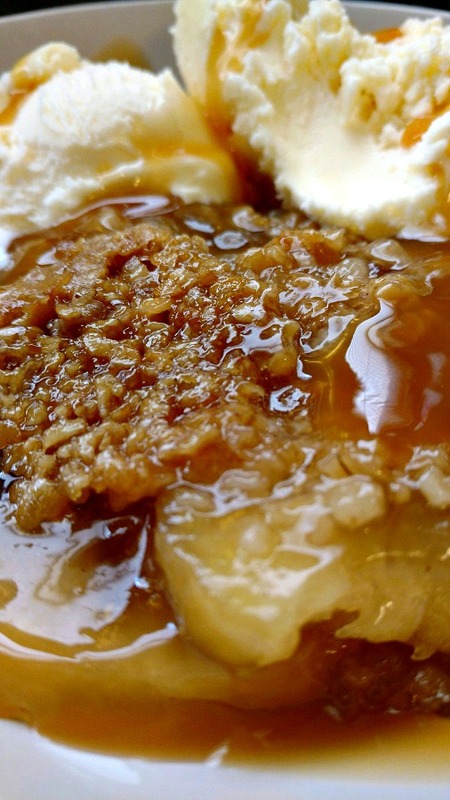 Crock-Pot Caramel Apple Crisp. A nice twist on the traditional apple crisps recipe. The added sweet caramel combines with the fresh apples to make this an out of this world tasty dessert. A great fall dessert to make. I used fresh Granny Smith apples for this recipe. Having a good Apple corer and slicer is helpful for this type of recipe. Of course, you will still have to peel the slices. No fresh apples or not wanting to peel, core and slice fresh apples? Substitute apple pie filling for the fresh apples, flour and brown sugar. My kids really enjoyed this dessert. It is very tasty and delicious and even better with a scoop of vanilla ice cream! Creamy caramel and fresh crisp apples combine with an oatmeal topping for a family favorite dessert. Top with drizzled caramel and a side of ice cream. In a 5 qt or 6 qt slow cooker, mix diced apples, cinnamon, cloves, flour and caramel. In a small bowl, add the topping ingredients - butter, brown sugar, flour, oatmeal, cinnamon and ground cloves and cut up with a pastry blender or two butter knives until you have a nice crumbly mixture. Spread the crumble mixture as evenly as possible on top of the apple mixture. 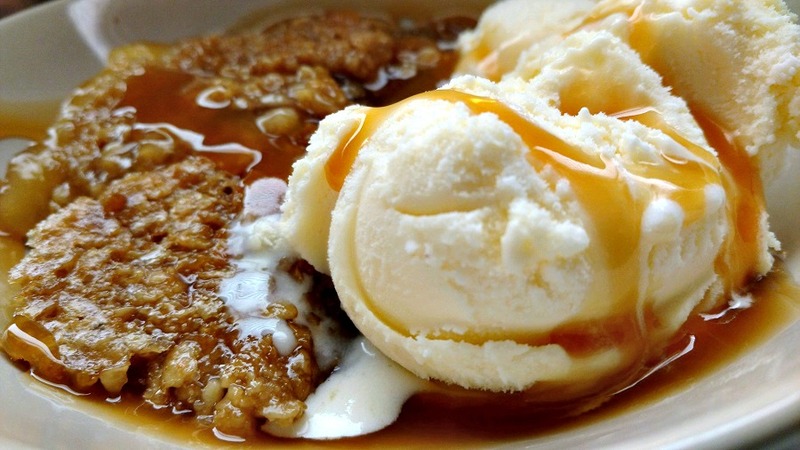 Serve in bowls drizzle with remaining caramel ice cream topping.